A very popular fad diet known for quick weight loss is the ketogenic diet. Ketogenic diet allows you to eliminate carbohydrates from your diet and enables the body to burn fat through the process of ketosis. While following the keto diet you primarily include fats and proteins and limit the amount of carbs. When on a keto diet the body produces small fuel molecules called “ketones”. This is an alternative source of fuel for the body which is used when the blood sugar is in short supply. Let us explain to you some important health benefits of the ketogenic diet. Not only weight loss, but keto diet is beneficial for your overall health. The primary goal of the keto diet is to get more calories from protein and fat than from carbs. It works by depleting the body's store of sugar, so that it can break down the protein and fat for energy. This in turn causes ketosis and weight loss. Since the diet is high in protein, it curbs your hunger pangs and boosts your metabolism as well. When some healthy fats like coconut or olive oil, avocados and chicken are included in the ketogenic diet it can improve the heart health by reducing cholesterol. Carbs turn into glucose in the body which is the main source of fuel. Eating too many carbs can increase the blood sugar levels. When you switch from carbs to fat for energy, blood sugar levels tend to stabilize. Therefore, diabetics can also follow the ketogenic diet. Ketones provide your brain with immediate fuel. Ketones supply up to 70% of your brain's energy needs. This is a more efficient source of energy than glucose. Since, the human brain is made up of 60% of the fat it needs a lot of good fats for the smooth functioning. Ketogenic diet includes a lot of good fats like full-fat milk, sour cream, avocados, cheese and chicken. Your body can only store limited glycogen and because of this, you constantly need to refuel in order to maintain your energy levels. While on a keto diet your body already has a plenty of fat to work with and it can store more fat; that is ketosis. This means the body can never run out of energy. A diet high in fats and low in carbohydrates along with some physical activity can help manage high blood pressure. But choose your fats wisely. You should only opt for healthy ones otherwise it can have an adverse effect on your heart. 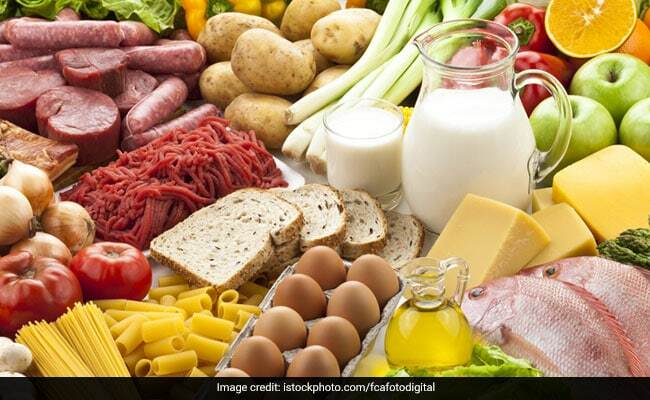 Nutritionist Monisha Ashokan says, “Whether keto diet brings down the blood pressure or not highly depends on the kinds of food you choose to eat as a part of your diet. Some of the keto and heart friendly foods that can be included in a keto diet plan are eggs, lean meats, fatty fish, nuts ,seeds, avocados etc. Foods high in fat does not mean, you can eat any kind unhealthy fats like butter or oil. If you choose healthy fat and combine it with recommended amount of fibre, it will bring the cholesterol down as fibre binds with cholesterol and throws it out of the body. As a result the blood pressure lowers since there is less pressure the heart needs to exert to pump blood due to absence of cholesterol. Therefore, you can choose keto diet if you have high BP (definitely under the supervision of a health consultant). However a well balanced diet is always much easier to lower high blood pressure .